How About Some Tranquility Tea ? In the Western world no mention is made of this plant's magical qualities. But, if you poke around on some of the Asian websites, you can learn a few things. 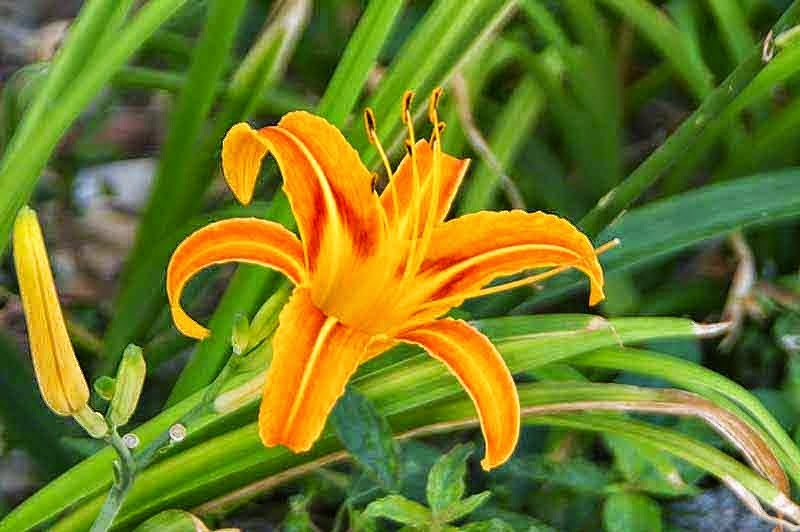 The common name Daylily, comes from the fact: The flower opens, only for one day. Scientists and botanists would call this plant, Hemerocallis fulva. See all the varieties of the flower at Dave's Garden. Learn how to grow and maintain these flowers at Missouri Botanical Garden.